Hi there! I'm Philip, experienced bassist teaching from my professional home studio 'The Mount Teaching Studios' in the centre of Guildford. I moved from The Netherlands to the UK in 2010 to study at the Academy of Contemporary Music in Guildford. Since graduating from ACM I started working as a session bassist, recording and playing for Get Cape. Wear Cape. Fly, Pocket Dragon, Daniel Kist (The Voice Holland), GlideStreetMusic Production and others. I've played many gigs and festivals including: Love Supreme, Cheltenham Jazz Festival, Cambridge Jazz Festival. Festivals on the agenda for this year are Isle of Wight festival, Boardmasters, The Great Escape, Bestival and others. My main instrument is bass, but I play guitar and piano on the side. I have some experience in private tuition. I've had the privilege of studying with very experienced tutors at ACM like Joe Hubbard, Giorgio Serci and many others, as well as acclaimed bassist Janek Gwizdala and saxophonist Bob Reynolds. I'd love to pass on some of the valuable lessons in performance, technique, theory, improvisation, composition, ear training and transcription that they taught me. It's all about what you want to learn. 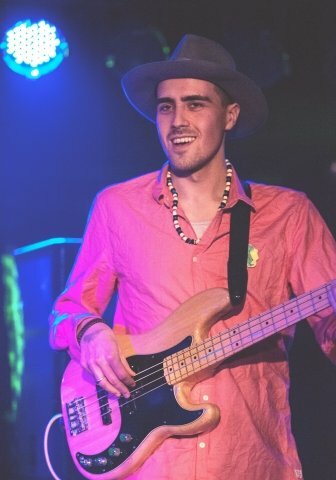 Do you just want to have some fun and learn how to play your favourite basslines? Or do you want to improve your skills as a bass player and allround musician? In the first lesson we'll evaluate the key areas that we want to work on and take it from there. Thanks for checking out my profile and I hope to see you soon!